Today, on the eighth anniversary of the untimely passing of Commerce Secretary Ron Brown, WorldNetDaily features an excerpt from Jack Cashill's explosive new book on the Clinton aide's life and death – "Ron Brown's Body." In his book, Cashill takes a close look at Brown's checkered career as Clinton fund-raiser and Cabinet member, and in the process exposes the Clintons' dirty, relentless practices for getting financial backing. Cashill draws disturbing links between the political machinations of the Clintons in the '90s and Hillary's current political career. "Ron Brown's Body" is available for pre-order at ShopNetDaily. Throughout the day on April 3, 1996, even as America's power brokers scrambled to spin their respects, the man whom they presumed to honor lay face up amidst the mud and debris of a barren Croatian hillside. Death, as it often does, humbled its victim, this man of impeccable style, and left his body in ironic disarray, his arms thrown helplessly over his head, the shirt ripped clean off his back, his pants severed at the knees like a careless frat boy's, the mocking vestige of a tie draped around his neck. 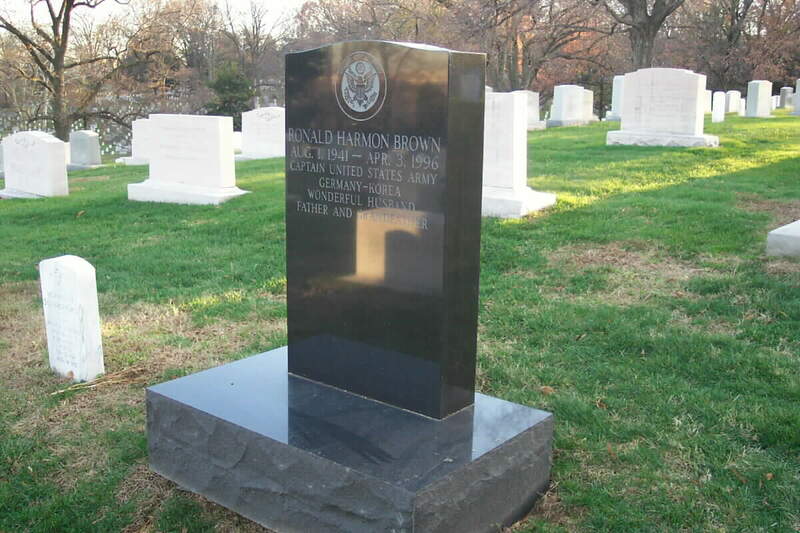 His name was Ron Brown, the United States secretary of commerce and an all too appropriate icon of this time and place. No man's life more clearly embodied the cynical ethos of official Washington and yet, given that cynicism, no man's death was more fully welcome therein. For the two most desperate years of the Clinton presidency, 1994-1996, Ron Brown found himself at the nexus of White House machinations, the central exchange, the point where presidential power alchemized into hard cash more crudely and less discreetly than at any time in a century. Here, Brown was both exploiter and exploited, victimizer and ultimately victim, the classic "man who knew too much." "Why Ron Brown Won't Go Down." So declared the grimly ironic title of a just-released article in the American Spectator. But the article's author miscalculated the physics of Washington power. Ron Brown did go down. Just before 3 p.m. Croatia time, the Air Force CT-43A that bore him drifted "inexplicably" off-course, sideswiped a hill nearly two miles from the Dubrovnik airport where it was headed and skidded to a wrenching stop. Hours before the first American arrived at the crash site to confirm Brown's death, while at least one American passenger still lived, President Bill Clinton descended on the Commerce Department and, in the artless words of CNN, "eulogized his friend nonetheless." "His favorite Scripture verse was that wonderful verse from Isaiah," said Clinton of Brown. "They who wait upon the Lord shall have their strength renewed. They shall mount up with wings as eagles. They will run and not grow weary. They will walk and faint not." This verse would provide the essential metaphor for Brown in the days to come. He was the man "who walked and ran and flew through life." This was all fabrication. Brown did not know the Bible. He could not cite a single verse. His quest for spirituality had begun only in the last weeks of life and only then out of desperation. Still, on the dishonesty scale, this bit of presidential dissembling barely registers. [W]hen we met earlier this week, right before he left for the Balkans, he was so excited because he thought that, along with these business leaders and the other very able people from the Commerce Department on this mission, that they would be able to use the power of the American economy to help the peace take hold in the Balkans, to help people in that troubled place have the kind of decent, honorable and wonderfully ordinary lives that we Americans too often take for granted. In truth, Brown was not excited at all. When they met earlier in the week, Brown begged not to go. At this, the most anxious moment of his life, he dreaded the prospect of the trip. There was nothing decent or honorable about it. There no longer was anything approaching decency or honor on such junkets. He was sick of being, in his words, "a mother-f---ing tour guide for Hillary Clinton." And this leads to the essential deceit of Clinton's hasty eulogy. The president and his wife did not love Brown as Clinton avowed. Nor did they enjoy much, if any, of "his friendship and his warmth." No, the relationship, always cool, had turned cold. Brown feared the Clintons, feared to even call them, and they deeply distrusted him. This, the opinion-shapers in the major media chose not to know. They had already chosen their story line. Rather than recount Brown's fate as a cautionary tale on the perils of power, the media routinely meshed the death of "this great American hero" on April 3 with Martin Luther King's death on April 4, 28 years earlier. President Clinton, in fact, unblushingly claimed Brown, like King, died "answering a very important challenge of his time," and no one dared to call the comparison profane. 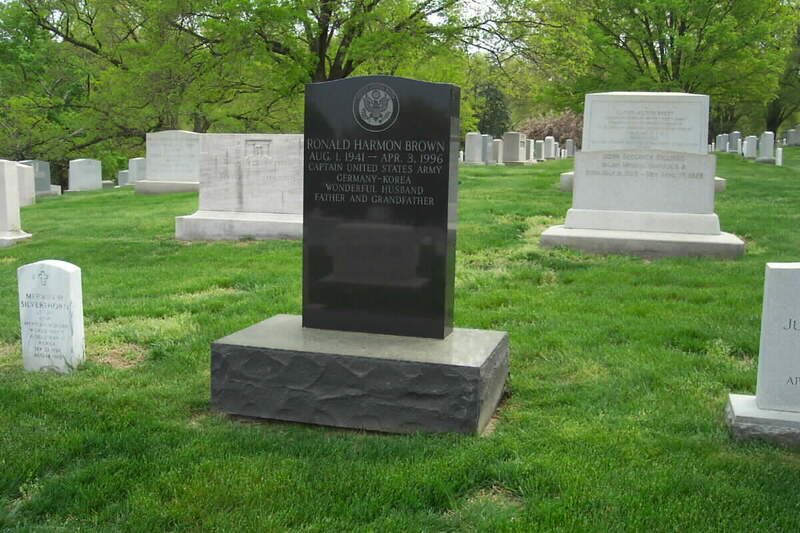 And so the story would have ended: Ron Brown buried at Arlington National Cemetery with more pomp than any government official since RFK, a nation in mourning for its fallen hero and a president bereft. But Ron Brown's body had one more story to tell. At the U.S. Army base at Dover, Delaware, three days after his death, Armed Forces Institute of Pathology photographer U.S. Navy CPO Kathleen Janoski noted a nearly perfectly circular hole in the top of Brown's head. It would measure just about .45 inch in diameter. "Wow. That looks like a bullet hole," said Janoski. The pathologists who heard her cry and heeded it would soon enough wish they hadn't. They opened the door on a mystery that simply refuses to stay shut. And, like many others who questioned the official story line during the Clintons' most desperate years, they have suffered for it. "We do not know for sure what happened there," said Clinton of the crash in Croatia. This much was likely true, at least not the details of what happened. It is also true he did not want to know. His administration's lack of curiosity would stoke the already overheated fires of conspiracy and forge an astonishing range of theories. The theorists, credible or not, were starting with the wrong question. The right question – the first question – was not why did the plane come down. The right question was why did it ever go up. The only people who knew for sure were those in Washington. And just maybe those in Houston. 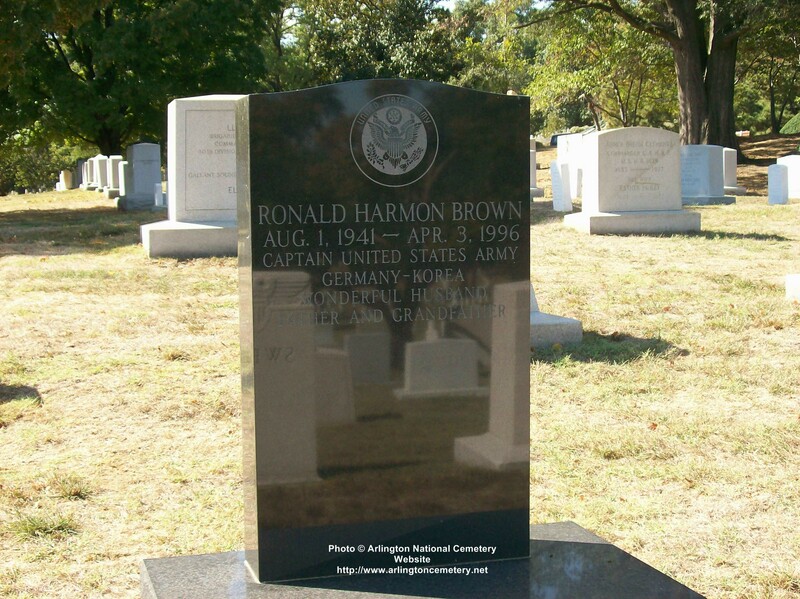 Ron Brown's body lies in Arlington Cemetery. 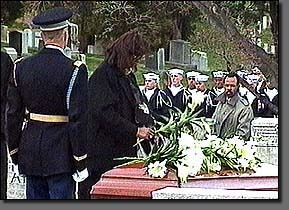 It belongs there amid the ranks of the nation's generals and its fallen soldiers, for Ron Brown was both an Army veteran and a member of the president's cabinet who died in the line of duty, even if his death -- and that of 34 others -- came in the unexpected tragedy of a wayward plane's crash. The week between Brown's death on a gritty mountainside of Croatia's coast and his burial on a grassy hill beside the Potomac provided a measure of the ironies of life and success, tragedy and death. This may have been more evident here in Washington, where Brown's career peaked. This was Ron Brown's kind of town. His resume was the epitome of a Washington insider: lawyer, congressional staff, Democratic Party chairman, secretary of Commerce. 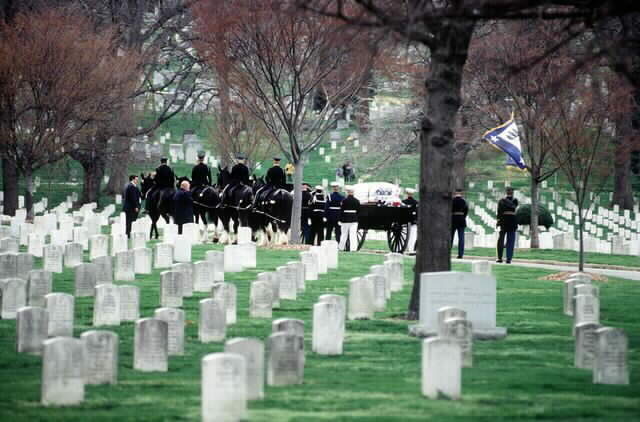 So if Washington made a bit more of his death -- the mournful arrival of the bodies at Dover, Delaware, the memorials and tributes, the funeral at the National Cathedral, the cortege to Arlington, the 19-gun salute -- consider it in the context of Washington's loss. Not just official Washington, but Washington the city and that city's society, especially its African-American society. Ron Brown was, of course, black. 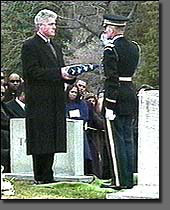 So the ironies culminated with his burial in Arlington National Cemetery. The nation's most hallowed burial ground was first set aside for the Civil War dead. It surrounds what was once the home of Gen. Robert E. Lee, commander of the Confederate forces. The first blacks buried at Arlington were freed men. The nation had just slipped the shackles of slavery. The most recent was the product of 130 years of slipping the strands of racism one at a time. From college to cabinet, Brown was the first this and the first that. First African-American to head a political party, first African-American to head the Commerce Department. Not the first of that department to die in office. Nine years earlier, Malcolm Baldridge, secretary of commerce in the Reagan administration, was killed in a riding accident that was perhaps even more unpredictable than Brown's plane crash. Baldridge was a champion rodeo roper and was preparing for a competition when his horse threw him, then landed on him and crushed him. Both Baldridge and Brown seemed to be immensely competent and confident men. As a journalist here I knew neither of them particularly well personally but both well professionally through interviews with them and contacts with their departments. After the sense of personal loss is absorbed, institutions regroup and carry on. Washington is nothing if not an institutional town. The second irony is that the only institution to have been struck at this level in recent years is the Commerce Department, which, not to put it too indelicately, is the department that Republicans in Congress would like most to eliminate. Its employees have been through the wringer of uncertainty surrounding last year's layoffs of government workers. Through this year's agonizing budget process, bits of the department have been whittled off -- the office of travel and tourism. 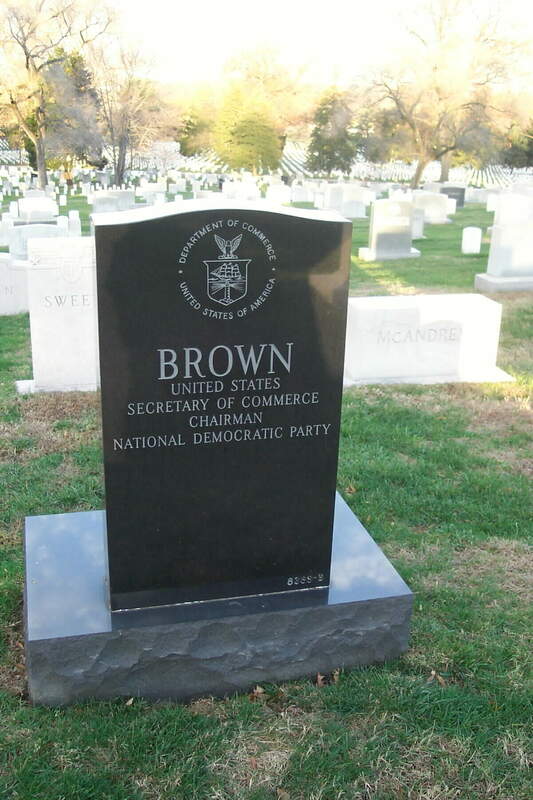 But Secretary Brown was hardly standing still. 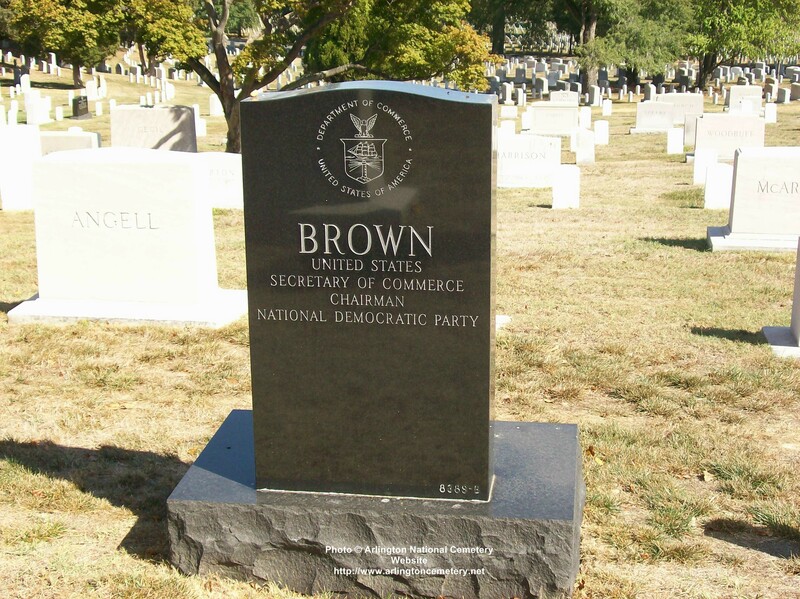 The third irony is that Brown and the other officials from Commerce and other government departments, along with a contingent of business executives, died in the war-torn former Yugoslavia on a peacetime mission. Other American officials have been lost seeking an end to the ethnic slaughter that ripped Bosnia for the past several years. Some American soldiers have died enforcing the delicate peace the United States helped negotiate. But more Americans died on the Air Force plane that crashed on its approach to Dubrovnik's airport. None of them absolutely had to be there, yet this was an essential mission in the sense that Bosnia's survival may depend more on its economic revival than on any military solution to its problem. At the end of this year, the U.S. forces and others in the NATO-led peacekeeping operation are expected to begin pulling out. There is no eagerness on the part of U.S. officials to keep American troops in Bosnia. There was little eagerness to send them there in the first place. Rather, there was an obligation on the part of the United States, having brokered the peace agreement at talks in Dayton, Ohio, to make sure the deal had a chance to take root. U.S. officials are inclined to believe that without aid and economic development there is almost no hope that the peace will survive. Even then, the internecine hatred among the Bosnians, Croats and Serbs may still doom the effort once the international forces are gone. Civilian institutions must take over and commerce must be restored. Enter Ron Brown and his delegation. It would be too much to hope for -- and almost naive to suggest -- that the crash would become a catalyst for cooperation among the Bosnian components. The Bosnian civil war had lasted just about as long as the American. Proportionately, it may have been just as costly. The American Civil War was this nation's most costly. But the Bosnian hatreds are centuries old and generations deep. There remain pockets of American society where our Civil War is still being fought rhetorically. But American institutions survived and remain a testimony to the strength of U.S. democracy. Other nations are far more fragile, especially emerging democracies. And even if there are tenuous hopes that Bosnia may not lapse back into self-destructive strife, trouble is almost certain to erupt someplace else. In the week past, Liberia has fallen again into anarchy and despair. U.S. military helicopters have swooped in on its capital, Monrovia, to airlift hundreds of Americans and others away from the renewed fighting. It was the third such military airlift from the West African nation since 1990. The fourth irony in this week, if it is not too much of a stretch, lies in the origin of Liberia. It was settled by freed American slaves who returned to Africa in the 1840s, a dozen years or so before the Civil War. With those American roots, Liberia was often held up as an example of how African nations might govern themselves. As such it held a great attraction to American blacks, albeit in small numbers. But since 1989 Liberia has been engaged in its own civil war. Liberia, once considered a success story, is described as a horror story today. It is not easy to measure why some nations thrive and others tear themselves apart, why some men succeed where others founder. Ron Brown's was not a perfect life. He had some controversial financial deals to answer for. The investigation was formally dropped this week. "Ron Brown enjoyed a lot of success," President Clinton said in his eulogy. "He was daring." Photos from the funeral of Ron Brown.